Rigid Cervical Collar - Crispin Orthotics - Innovative, cost effective orthotics for the NHS and private patient. Comprises a front and rear thermoplastic shell with a padded lining. The front and back shells are secured to each other with velcro strapping. The collar may be a single size which has a front section that can be adjusted to the required depth or there may be a range of sizes each of which has a specific fixed depth. 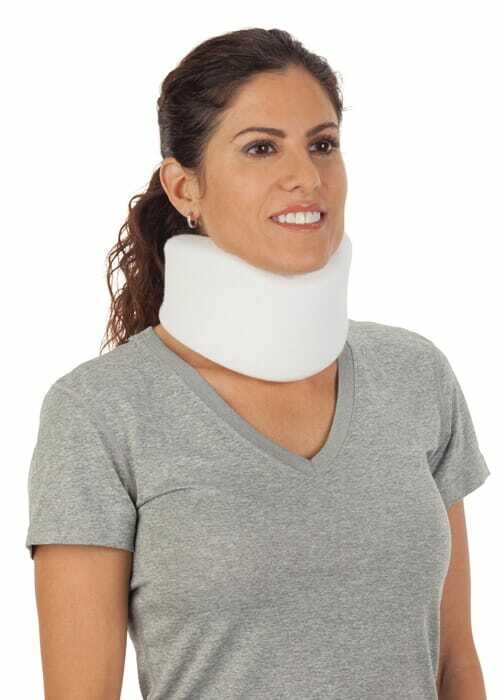 It maintains the head in a neutral forward facing position and reduces unwanted / painful movements of the head and neck.